This certification is aimed at professionals who work within a project environment including key staff involved with integrating project management with product delivery and those who involved with programme and project support functions. 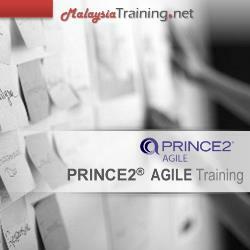 PRINCE2 Agile® is an agile project development solution developed by AXELOS. This 3-day PRINCE2 Agile® Practitioner training is for those who want to pass the PRINCE2 Agile® Practitioner exam. It's also for anyone who wish to gain a good understand of PRINCE2 Agile®. The purpose of the first session is to introduce the basic agile concepts. The purpose of this session is to introduce the purpose and context for combining PRINCE2 and the agile way of working. The purpose of this session is to introduce tailoring of PRINCE2 Principles and Management Products. The purpose of this session is to introduce tailoring of PRINCE2 themes. The purpose of this session is to introduce tailoring of PRINCE2 processes.